Amazing!!! 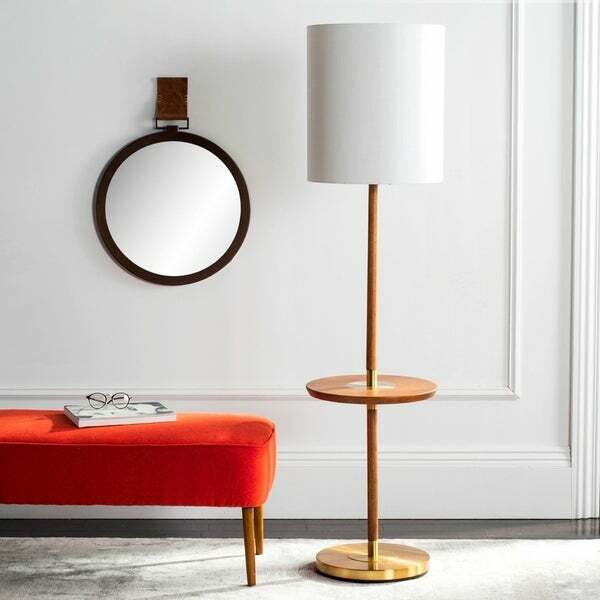 Really love this floor lamp!!! Package damaged upon delivery with bent shade &amp; messy styrofoam. Super difficult to screw together &amp; could not align properly for stability. Turn on knob broke right away. Would return if I had the energy to take apart &amp; re-pack, but will live with it. Going to try a better fitting style shade. Don't recommend. This lamp has great style and is really good quality for the price. The base of the lamp is substancal and heavy duty so it won't tip. The wood color is awesome looks like it came right out of the 60's. 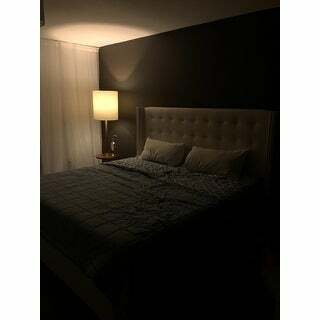 I highly recommend for anyone looking for a lamp that doesn't look like all others. Lamp is beautiful and a great value. Other midcentury lamps, whether new or vintage, cost several times more. The only issue I had was there was a problem with the screw threads so I had to return it! It was probably just a fluke. The lamp is very solid and heavy and beautifully made. "What is the table diameter?" The wood plate has dimensions of 15.75" W x 15.75" D x 1"H.
"How high is the table off of the floor?"